A classic icon of Bauhaus desin; Mies van der Rohe's D 42 armchair was influenced by Marcel Breuer's use of tubular steel. 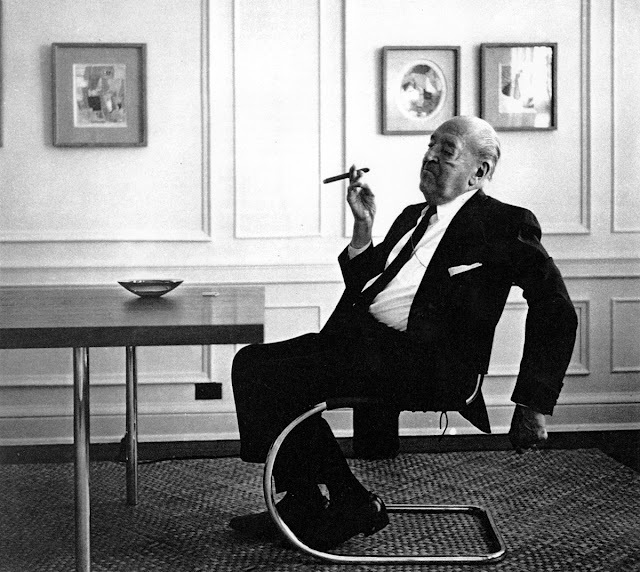 Ludwig Mies van der Rohe quickly recognized the compatibility of this revolutionary material with the contemporary design ethos. 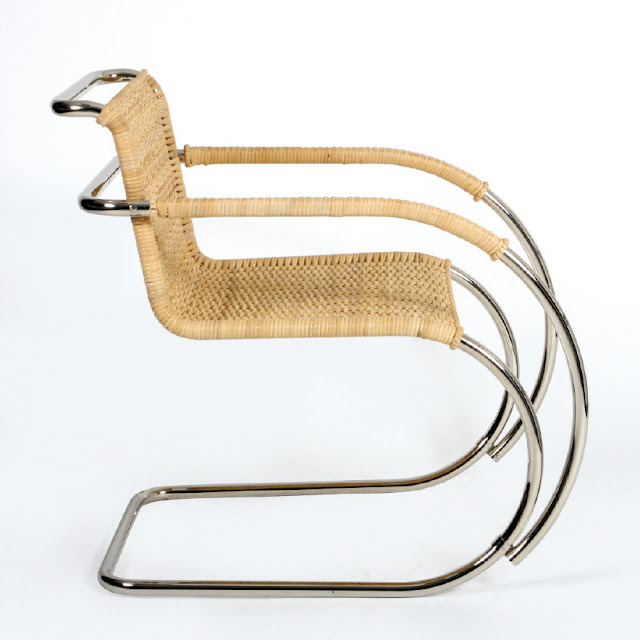 Inspired by the lines of tubular iron rockers designed in Europe during the mid-19th century, Mies incorporated a new material and a new technology in the use of the cantilever principle. We like the original edition which is still produced by Tecta in Eastern Germany, exactly the way Mies van der Rohe would have wanted it. It is still made according to the original specifications of Mies van der Rohe, down to the last detail. Ludwig Mies van der Rohe D42 Chair available in the US through nova68.com.